Paul & Joe released two limited edition Finishing Powders (S$56) as part of their Sahara summer makeup collection. Housed in round paper boxes, the Finishing Powders are available in 001 Dune (light beige) and 002 Desert Sand (medium beige). 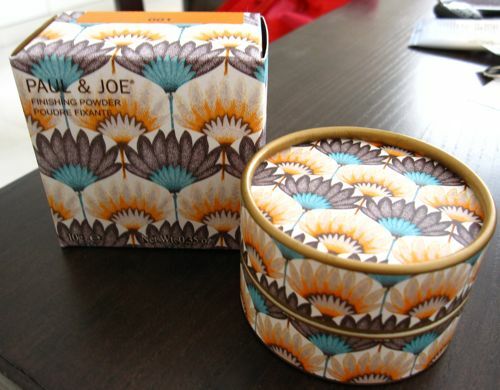 The powder comes with a cotton puff bearing the Sahara print design on one side, which I thought was a nice touch. However, the rest of the packaging leaves something to be desired. 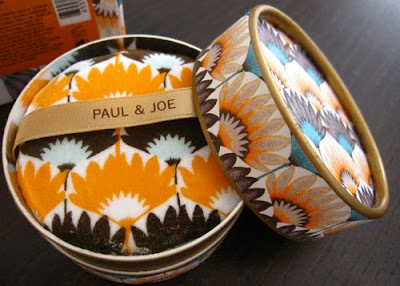 First, the paper box packaging looks nice but it isn't going to be able to withstand being thrown around your bag so it's not ideal for travel or toting with you on the go. Second, the cotton puff is decent but not the softest that I've felt before. It's not rough or scratchy but just not particularly soft. 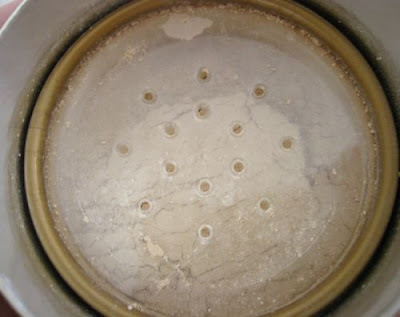 Third, the small holes in the plastic cover help to control the amount of powder being dispensed but quite a bit of powder still ends up flying around the edge of the plastic cover. It's hard to pick them up with the cotton puff so you will need a separate brush if you want to clean off these loose powder particles. The plastic tub does not look like it can be popped out from the paper box. The Finishing Powders are supposed to help to create a "natural shine and translucent semi-matte" finish, while preventing oily shine and makeup from wearing off even in hot and humid weather. It contains a blended champagne gold frost “SECRET’D’or” that adds a long-lasting warm glow. On my MAC NC25 skintone, the powder melded very naturally into my skin and made it look smoother. I can't detect any 'natural shine' but the finish looks very natural, not dull and flat. 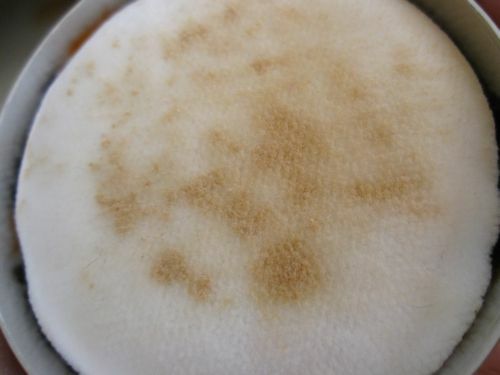 As it is only a finishing powder, it does not provide much coverage. If you have a lot of redness in your skin, you will need a separate foundation or concealer if you need coverage. 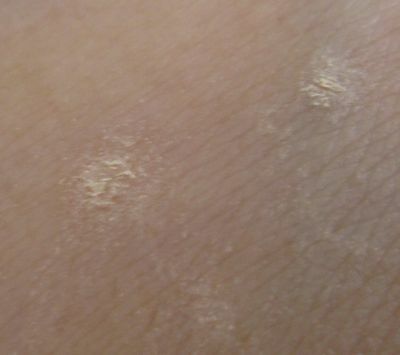 Here's what the 001 Dune powder looks on my skin before being sheered out. Once evened out, it's not visible but the skin will look smoother and more polished. The powder is very lightweight and finely milled. I didn't try 002 Desert Sand so I don't know how dark Desert Sand is compared to Dune. Dune should suit most light to fair skintones. In the pic below, I am wearing the Finishing Powder in Dune over only RMK Face Protector N SPF31, without any foundation or concealer. In the blazing dry heat of New Delhi, where I am currently, the powder has helped to keep my skin from oiling up. Even after 3 hours of wear, my T-zone is not showing any shine yet, although that is also partly due to the dry climate over here. 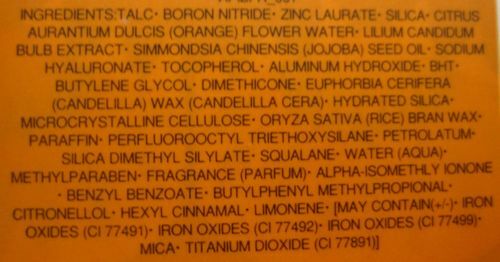 The ingredients list, which is not oil-free or paraben-free. Some ladies have problems with talc, but I don't. The official Sahara collection website can be viewed here. You can order this for £18 (about S$36.80) on Asos.com or US$35 (about S$48) on Beautyhabit.com. As you can see, the price varies quite a bit among the different countries. 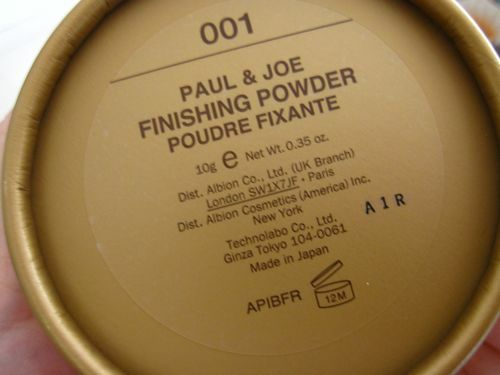 The powder is manufactured in Japan by Albion but the retail price is the highest in Japan at 4200yen (about S$63). The Legere BB Cream I used is efficient enough to cover my redness which is good coz the Laneige makeup base in green I uses previously is more expensive than the BB Cream & comes in lesser quantity. Part 2. left out, oops! I actually really liked the NARS Smudge Proof Eyeshadow Primer, except for the packaging. I've only tried the NARS Oil-Free Liquid Foundation previously and wasn't too impressed by it. I didn't even finish my bottle before I threw it out. I think this is not available anymore since NARS released Sheer Glow and Sheer Matte. 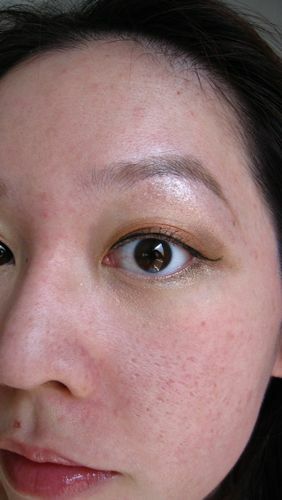 I haven't tried Sheer Glow or Sheer Matte but you can check out reviews on either Makeupalley.com or Sephora.com. 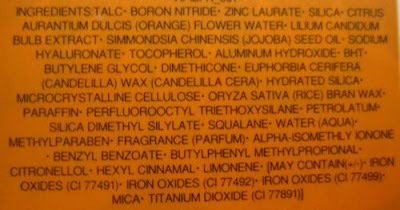 Retailtherapy.onsugar.com has also reviewed the Sheer Glow foundation, I think. La Prairie doesn't interest me as it's just too expensive, and frankly I don't think putting caviar into beauty products has that much skin benefits. The P&J Finishing Powder is quite different from the usual P&J Loose Powder. With the Finishing Powder gives more of a dreamy matte skin-toned finish, whereas the Loose Powder (I use #1) has a slightly whitish cast and some micro-shimmer particles that are visible if you look very closely. thanks very much for sharing your thoughts here with us. apart from makeup updates and haul sharing (drool worthy :P), maybe you can consider doing a post on your favorite weekend activity or even how you and your dear husband went etc? Thanks for the suggestion! I do some non-makeup posts occasionally but it depends on my mood and whether there's actually anything interesting to post about :-) Some readers also don't fancy reading about non-makeup related stuff, so I try to keep it mainly about makeup and whatever else I find interesting at the moment.